Dr. Askwar Hilonga is a prize-winning engineer and scientist from Tanzania. He invented an innovative, low-cost water filtration system: The Nanofilter. His goal is to be a millionaire, but not in terms of money, but in terms of reaching a million people every day. We are very happy to introduce Dr. Hilonga and the Nanofilter as our partner. Together, we will fight the watercrisis. The Nanofilter removes bacteria, microorganisms, but also heavy metals and pesticides. After the water was filtered, it is pure and safe to drink. Making communities independent, without the need of donations. As we explained before, we have to give communities the tools to be self-determined. The goal is to make our beneficiaries independent from continuous help. Therefore, we will supply young African entrepreneurs with the Nanofilter and a kiosk. They can clean water and sell it to their community to a price everyone can afford. Even the poorest are able to buy clean water. 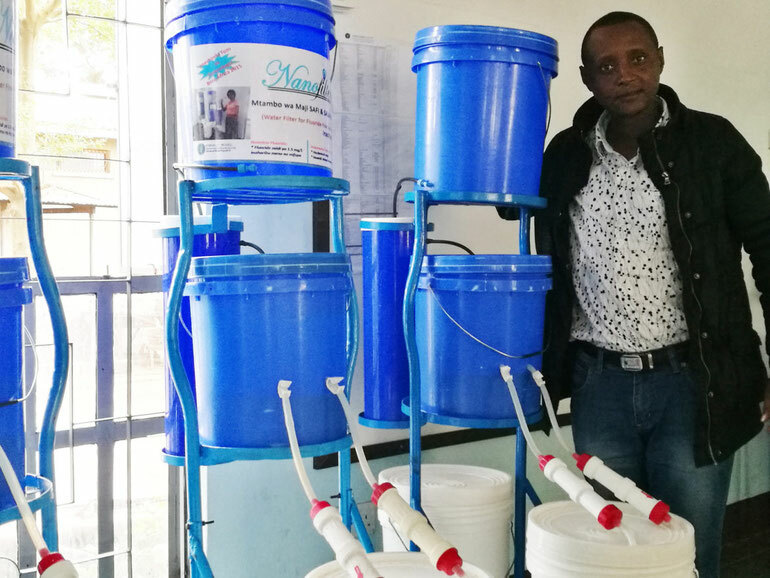 Dr. Askwar Hilonga already supplies 25,000 people every day. 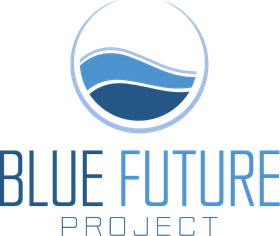 The BlueFuture Project is targeting people that do not have an opportunity to find a job but want to run their own small business. Therefore, we create a better future for these people, while they can do good for their community. As they earn an income at that point, the businessowner pays back our costs (microcredit). For that reason, we are able to grow and supply the next community quickly. Our impact will grow exponentially over time; therefore, we can help faster and faster. It is very important to us, that we are independent of donations. We have decided not to be a charity, but a company that creates its own income. For that reason, we can grow exponentially and become a company with more and more positive impact on society. These revenue streams must be scalable and automatable, so that growth can be achieved, while we concentrate on the humanitarian projects. Therefore, we are working on eCommerce, CSR and conservative investments. In this context, we have a role model: 4Ocean. This great company cleans the ocean and finances the cleanup through the sale of recycled bracelets. Every bracelet represents the removal of one pound. We are working on a product (accessory f.e.). With the sale of each item, we are able to provide the access to clean water to one person. Long-term, we want this product to be produced in Africa, to strengthen the local infrastructure again. Therefore, we can include our community and everyone that wants to make a difference can join our movement easily, through the purchase of one item. CSR is the social responsibility of companies. A field of activity, that has increased in importance rapidly, over the course of the last years. Companies want to participate more and more in the social and environmental development – a task that is not easy. We can complete this task for companies, as we build water stations and distribute the filters in schools in their name.